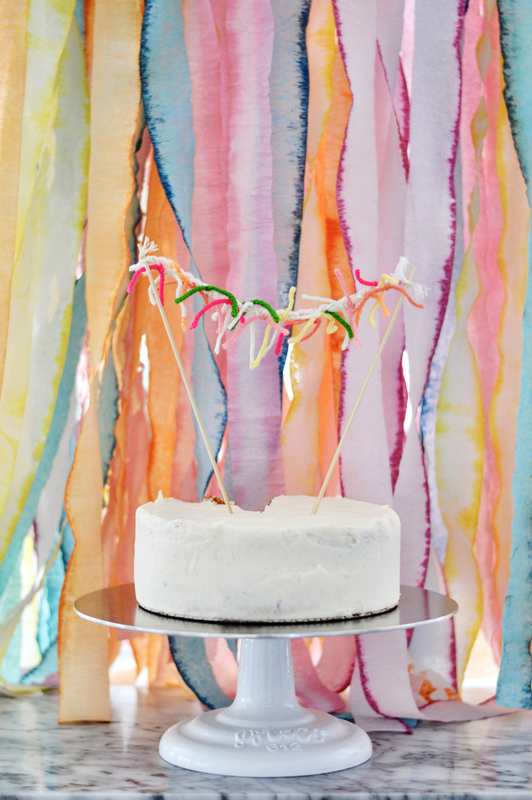 Crepe paper streamers are one of my favorite ways to jazz up a party’s vibe… but, let’s be honest, the lack of colors available in stores can bring our decorating to its knees. Do they honestly think that a flamingo and a gumball are the same shade of light pink?! This is where liquid dyes come in. 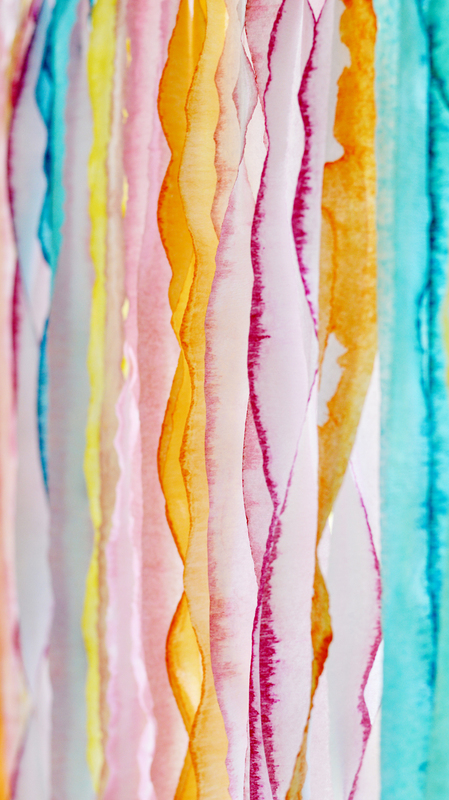 Dip-dying our own crepe paper streamers allows us to create any shade of streamer wanted and the dye can make the tone as light or as vibrant as needed. 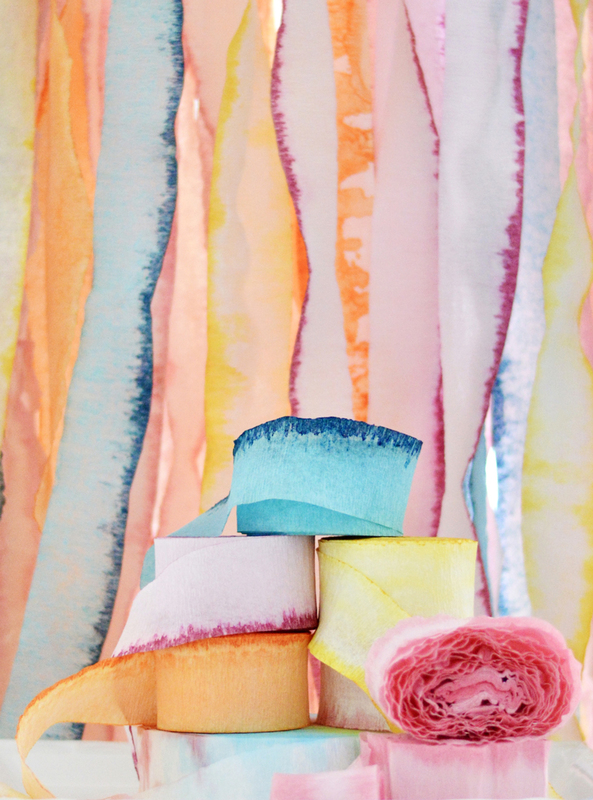 Just follow these simple steps for paper streamers that are ombré, or multicolor, or just the prettiest hues imaginable for that next party. 2. Pour about a half inch of alcohol in the bowl and add 1 T. of the dye of your choice. 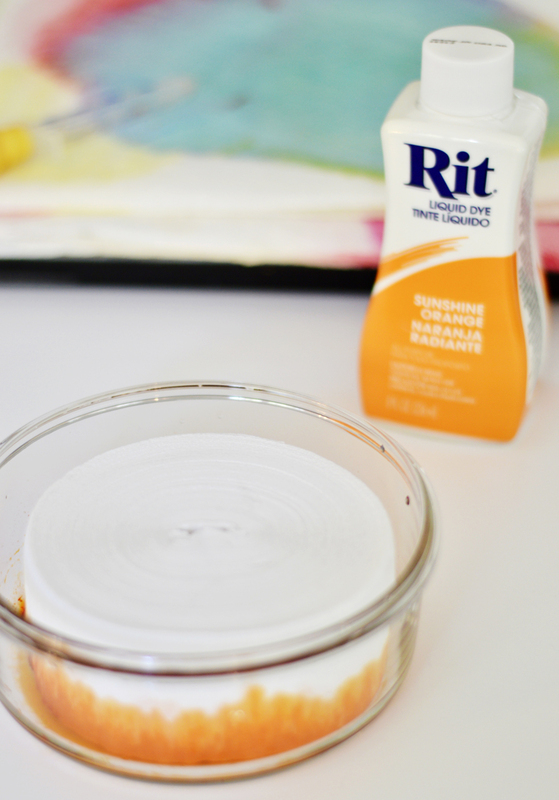 If you want to create a custom shade, RIT Dye has a great color mixing chart online. 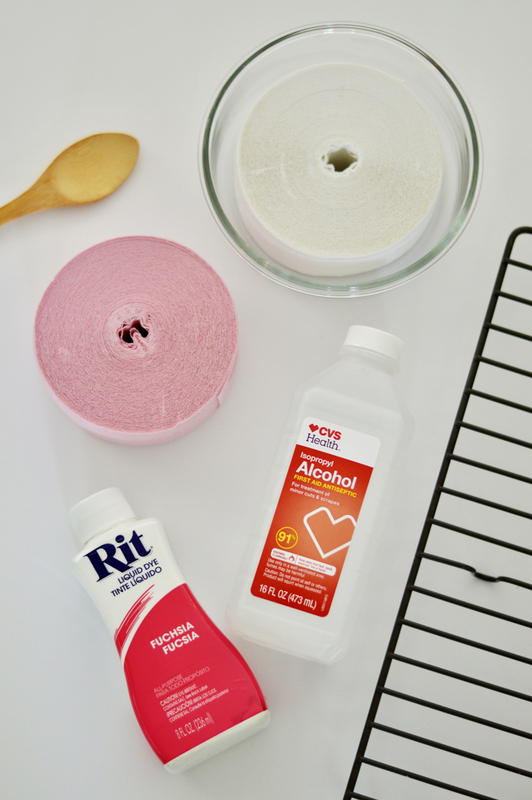 Mix the alcohol and the dye – there will be some dye that does not fully mix into the alcohol and kind of hangs out on the bottom of the bowl, this is okay because it is absorbed into the streamer roll and gives a bright edge to the streamers. 3. 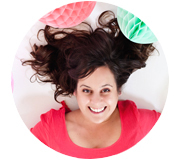 Set the streamer roll into the bowl – it will immediately absorb all of the liquid. If you want an ombré effect, take the roll out and place it on the paper towel tray, dyed side up. If you want more of a solid color, set the roll face up on the tray, then prepare the dying bowl again with the same color, and dip the other side into the dye. You could also dip one side in one color and the other side in a different one – just remember that they will meet in the middle, so make sure they will like each other! 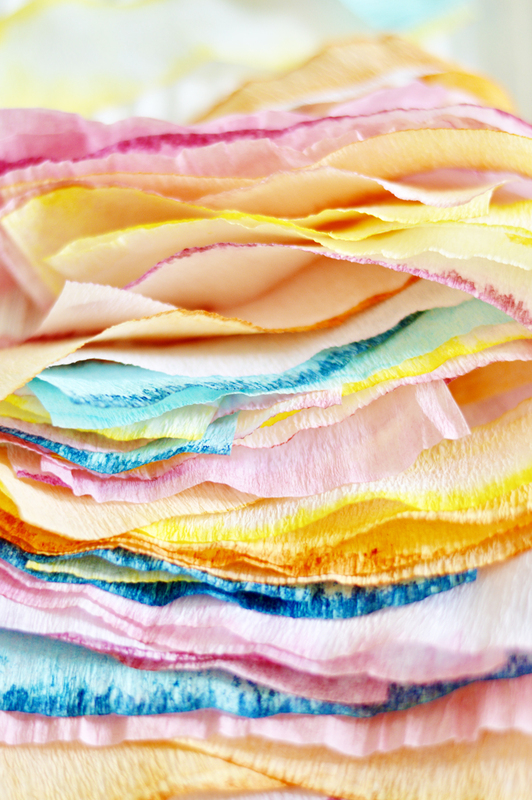 Once the roll has been dyed as you like, you can gently squeeze out excess alcohol over the sink… I never do this, though, because it sometimes takes out the texture of the crepe paper, and sometimes changes the path of the dyes. 4. There are several choices for drying, but let’s be clear: this is not a quick deal! Though the dying part is super-fast, the drying part is not… I make these beauties well in advance of my parties. You can air dry them on their tray… near a fireplace can speed up the process, or outside in warm climates. I go straight to my oven, turn it on warm, and set my timer for two hours at a time. When the timer goes off, I check for dryness and turn them over (if you can balance them on their sides, this speeds things up). This process will take up to 8 hours, depending on the amount of dye used. 5. Here’s where the magic happens… this is a real Cinderella story type of moment. The streamers, when dry, will look crusty, dark and almost salty on the outside, and they will have lost their neat round shape. 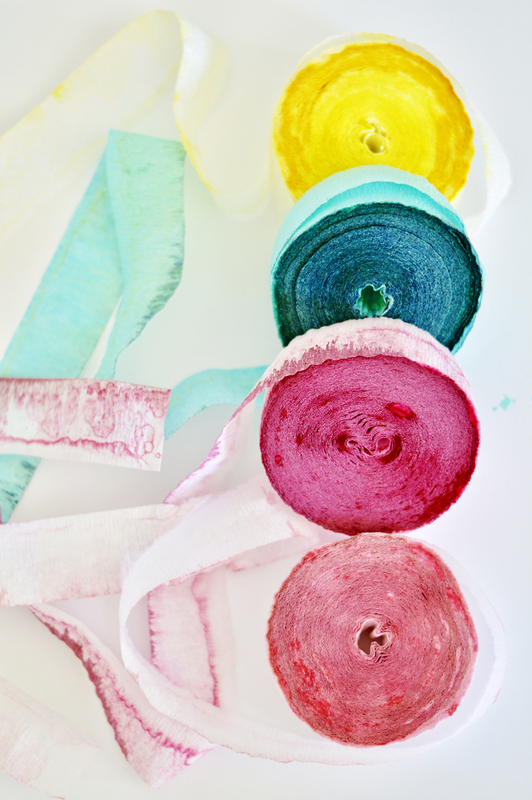 Start unrolling them, and after a few feet at the most, you will see your custom, hand-dyed streamers start to reveal themselves. What will you do with your festive streamers? 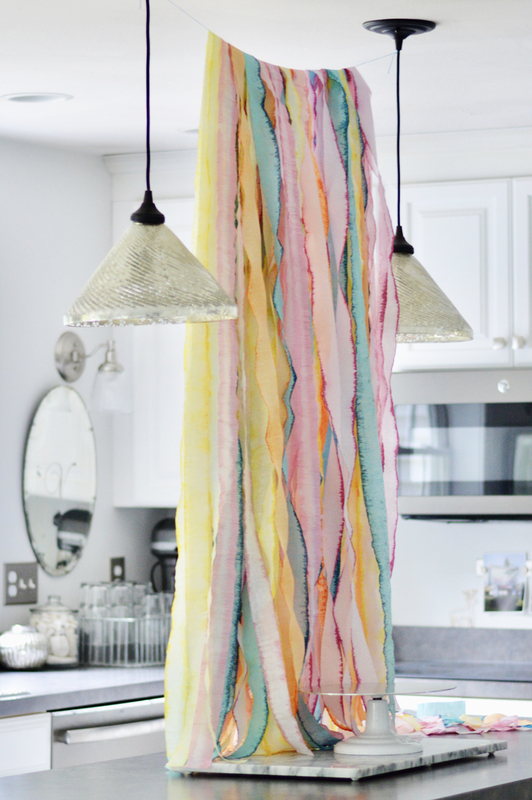 Make a fringed balloon tassel? Festoon a light fixture over the cake table? Create a streamer curtain over an entire window? Whatever you decide, when the party ends, take the time to roll up your streamers, and store them for the next shindig. (Photo concept, design and photography ©A Subtle Revelry by Elizabeth Veilleux). Did you have any issues with the fumes from that amount of alcohol? I just made 5 rolls and holy-moly! They are looking beautiful though, thanks for the neat idea!